Short walks and half days treks to see the best sights with minimum effort or for those with little time! You don't have to be an experienced trekker to get the best views, and some may argue these views are the best in the National Park! Cerro Llao Llao and Cerro Campanario would be top of my top list of recommended view points. A small forested hill with fantastic views. If catching to bus to Llao Llao (bus no. 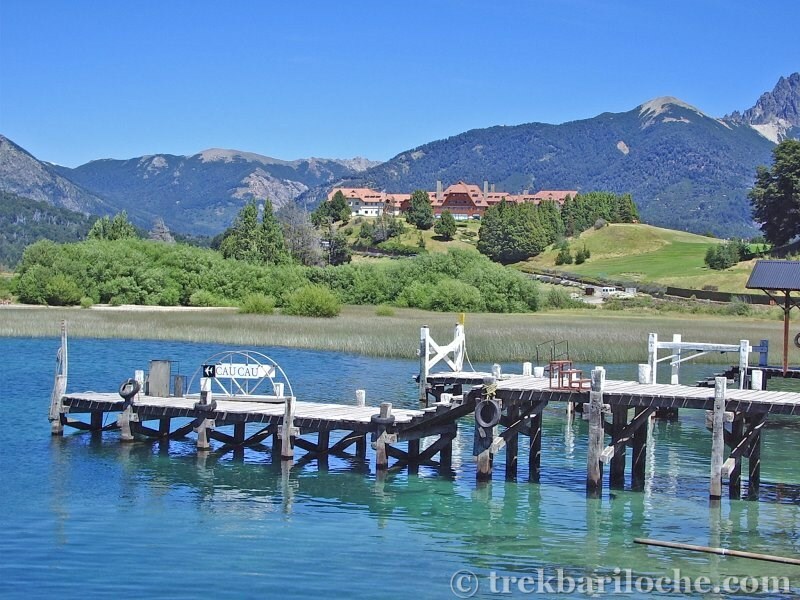 20) alight at Puerto Pañuelo (the last but one stop - or just stay on the bus until the Hotel Llao Llao (good photo opportunities of lago Moreno) then walk the 300m back down the hill & turn left) and carry on round Circuito Chico, with Puerto Panuela on your right hand side in a NW direction. 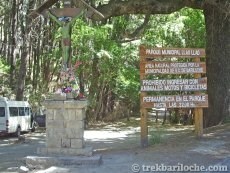 The road starts to ascend; after 10 - 15 minute passes the 'Green Christ' on the left (start of the Sendero de los Arrayanes trail) and after a further 5 minutes you come to the start of the trail. 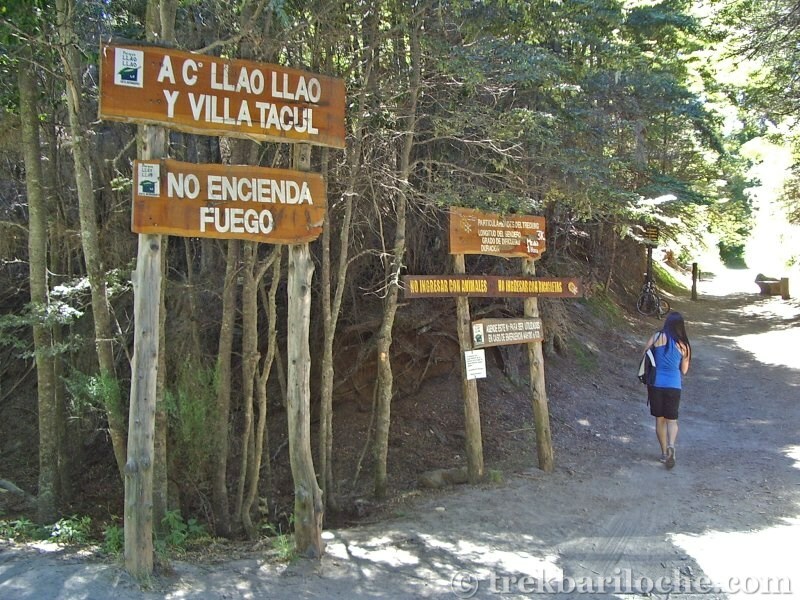 This trail starts off flat at first, then a gentle incline and after about 30 - 40 minutes there is a turning on the left with a sign marking it as the route to 'Cerro Llao Llao'. The trail zig-zags to the top & takes a further 25 - 30 minutes. 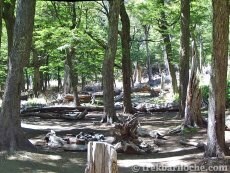 Rocky outcrops offer spectacular views over the Nahuel Haupi Lake. Once at the top you have to return via the same route either turning right at the bottom of the zig-zags back the way you came or turning left and follow the trail to Villa Tacul for a beautiful beach. Can be combined with the 'Sendero de los Arrayanes'. A short and fairly level but beautiful forest walk. If catching to bus to Llao Llao (bus no. 20) alight at Puerto Pañuelo (the last but one stop - or just stay on the bus until the Hotel Llao Llao (good photo opportunities of lago Moreno) then walk the 300m back down the hill turn left) and carry on round Circuito Chico, with Puerto Panuela on your right hand side - in a NW direction. The road starts to ascend; after 10 - 15 minute walk you arrive at the 'Green Christ' and a small car park on your left hand side. The trail starts here. 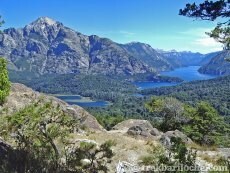 The trail gently undulates as it follows the shoreline of Lago Moreno, passes a small cluster of Arrayan trees, Moreno Beach and the Moreno viewpoint with great views out over Cerro Lopez. 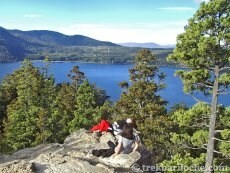 This is the must do viewpoint in Bariloche. If you want a lazy day then just take the chair lift to the top. 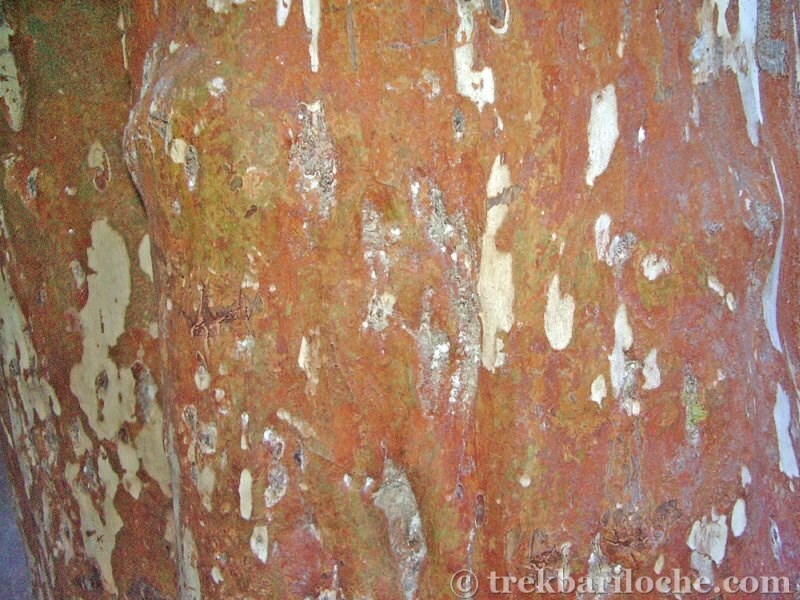 If you are on this website then you probably want to walk the trail to the summit. From the base of the Cerro Campanario chair lift (KM 17,5 on the Bustillo Road) if looking up the line of the chairlift, the trail starts on the right hand side about 50m to the right of the lift. A great workout and saves you the chairlift fee. Cerro Campanario web page: http://www.cerrocampanario.com.ar/. There are toilets both at the base of chair lift and at the top next to the cafe. 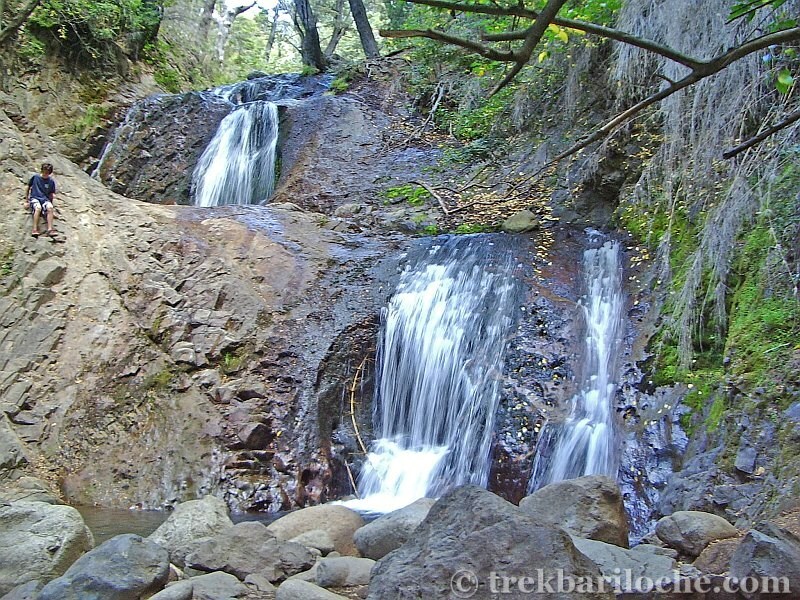 For beautiful forest and a pristine clear river, head out on the trail to Refugio Laguna Negra and stop when you find a nice spot by the river. 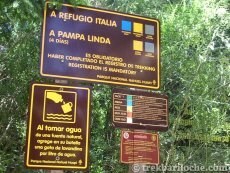 The trail starts a 5 - 10 minute walk from the centre of Colonia Suiza. 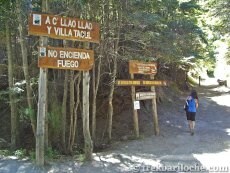 The trail to Refugio Laguna negra is a full day commitment. 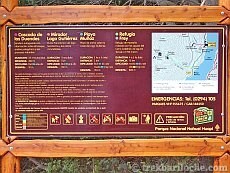 Forest walks, panoramic viewpoint and beaches. Take the bus no. 50 to Los Coihues. 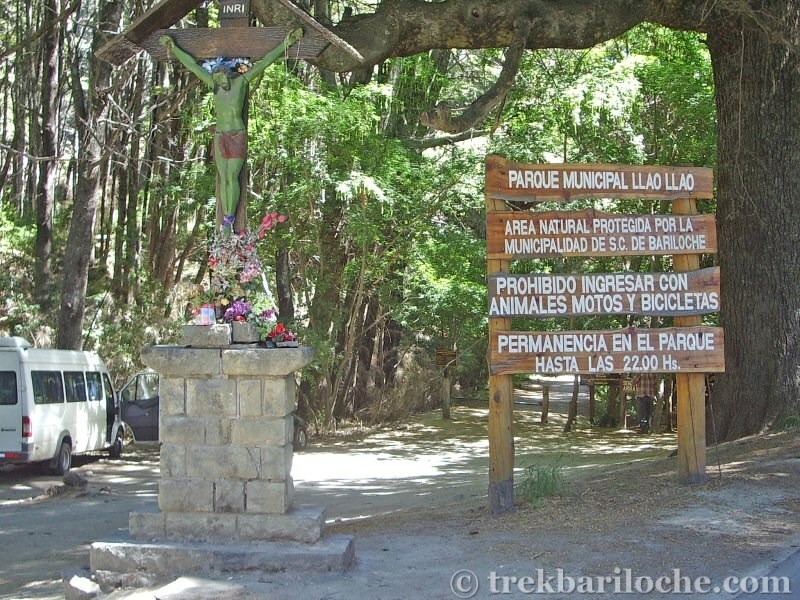 The bus will drop you by the beach in Los Coihues - then it's a 2km walk down the gravel road to a car park and camp ground at the start of the trail. 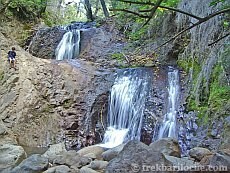 The trail to the waterfall is an easy (10 minutes). The trail that continues to the view point is quite steep (30 minutes) and can get very dusty in summer. There is a nice beach by the start of the trail. 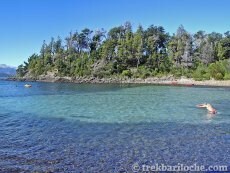 A bit further a field but a worthwhile option if you don't take the sightseeing boat trip there from Bariloche. 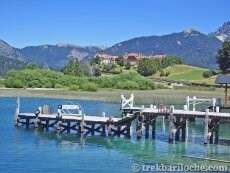 From Bahia de la Flecha in Villa la Angostura there is a visitors centre with info about the trail. 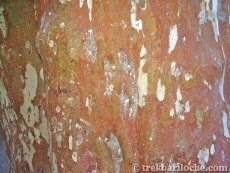 A Park Entrance fee is payable to walk the trail. 24 KM's round trip - maybe able to take the boat one way (expensive) from Bahia de la Flecha and walk back along the trail (12 km's). 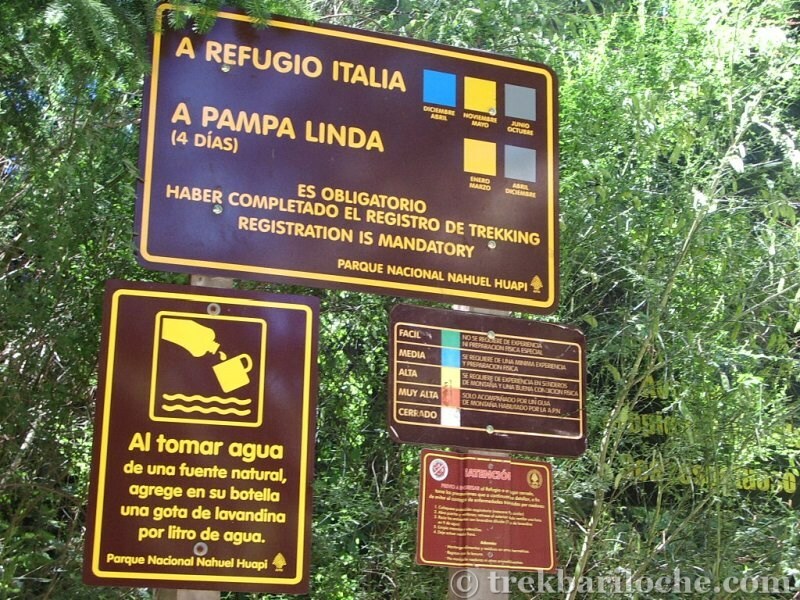 From the north side of Lago Mascardi there is a campsite where you can park your car (fee payable), then follow the trail down the west shoreline of the lake to the secluded beach of 'Playa Leones'.